So admits Haitian-born photographer Leslie Jean-Bart. Now an avowed New Yorker, Leslie has spent the past few years as the sole caretaker of his mother who suffers from dementia. But Leslie has always been an artist. His background includes a Master’s Degree in Journalism from Columbia University, followed by an impressive photography career that took him all over the world. 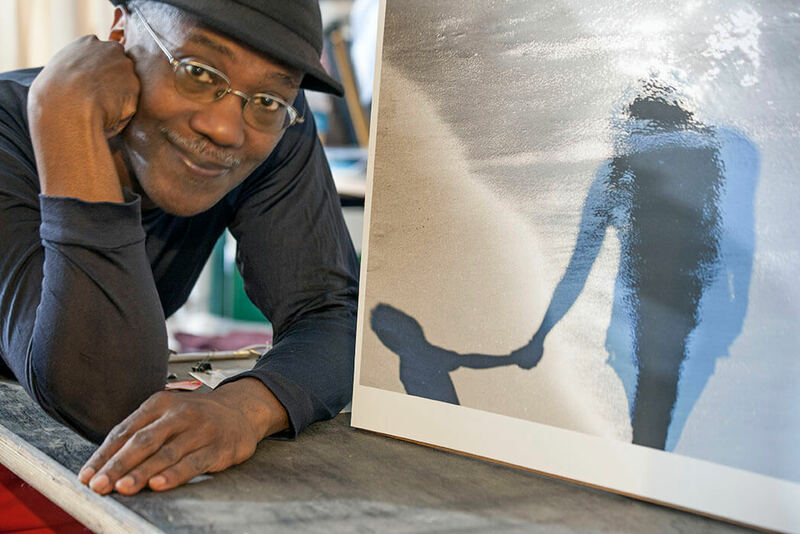 His commercial work has been lauded with accolades including award-winning books and photo-collage projects. Yet despite the recognition, Leslie’s career was placed on hold when he had to shift his focus to his mother’s care. In looking for relief from his new, often challenging role, he began making regular treks to the beach near Coney Island. Never without his camera, Leslie began to discover inspiration and to document visual metaphor amidst the constantly evolving ebb and flow of the sands, tides, and reflections. After completing The Working Artist Master Class, Leslie now has the tools to approach the art world with confidence. The course not only helped him create effective art career foundations – it also taught him the importance of cultivating strong relationships within the art world. Along with newfound confidence and vibrant, active art connections, Leslie has observed that his entries and proposals for group shows and fairs are now being routinely accepted. What’s more, he was recently featured in his first solo exhibition at Xavier University in New Orleans! You can learn more about Leslie Jean-Bart’s beautiful work at http://www.realityimagination.com. Do you want to learn the insider information that has helped artists throughout the world to thrive? Join my mailing list now and get exclusive updates. It’s free!